THIS is to inform all the candidates who applied for admission into the Federal University of Technology, Akure (FUTA) that the first batch admission list for the 2018/2019 academic session has been released and published online. The Federal University of Technology Minna, FUTA Admission list for 2018/2019 session has been released and published on the JAMB CAPs Portal. *Update* The Names of admitted candidates has been uploaded on the college’s portal. Follow the procedure below to check your admission status. You can either “Accept” or “Reject” the admission offer on JAMB Central Admission Processing System (CAPS). 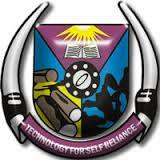 Previous Entry: UNIOSUN Merit Admission list out.